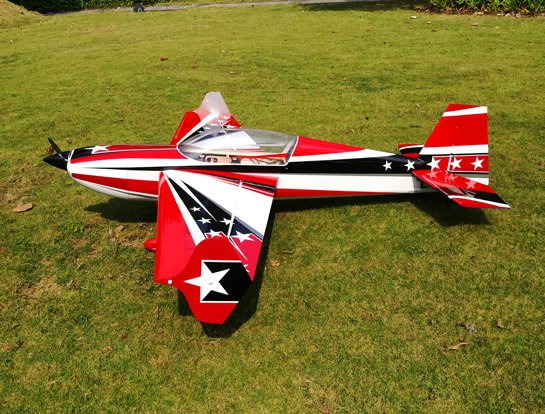 From the initial release of the 78 inch Extra 300 in 2009 when our team pilot and good friend Donatas Pauzuolis from Lithuania won the FAI World Airgames Artistic Aerobatic competition with a prototype of the 78" Extra, it immediately found favor within the RC aerobatic community and has remained one of our best selling aircraft. We decided that this iconic airframe deserved an update to bring it up to spec with our other current airframes. Just like our other recent releases there has been some serious weight reduction involving extensive use of composites. 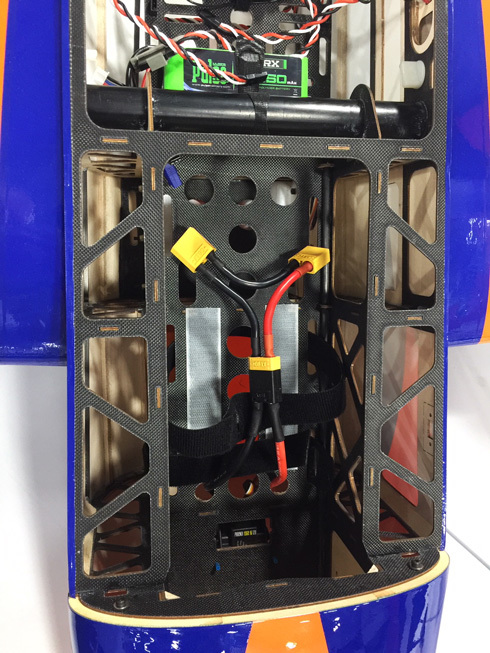 The model that we have been flying during testing is a full pound lighter than the previous V2 version that we built and flew extensively during the preliminary testing of the Xpwr motors! What this has allowed is for us to use the Xpwr 35, which allows us to use smaller batteries, contributing to the lower weight. The 21x10 that we use on the Xpwr 35 is still a huge disc on this size model and power is nothing short of ballistic. 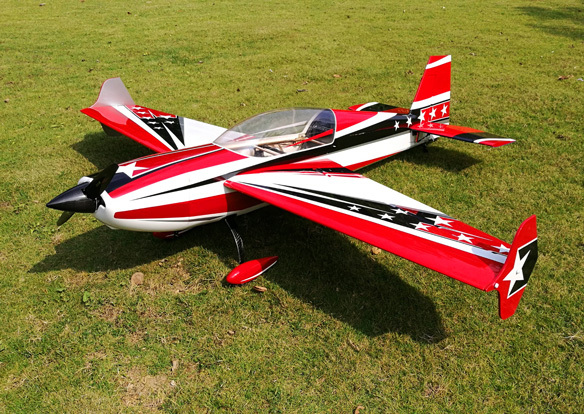 It is for this reason that we now feel the 78" Extra is THE current sweet spot for super floaty yet aggressive electric 3D flying: Using 2 of the batteries that we all use in our 60" models (6S 3300-4000 mah) we can now experience 5-6 minutes of some of the best aerobatic performance currently available in a gorgeous state of the art 2 meter airframe. Of course the Xpwr 40 is still an excellent choice for this model and we have zero reservations recommending this motor. 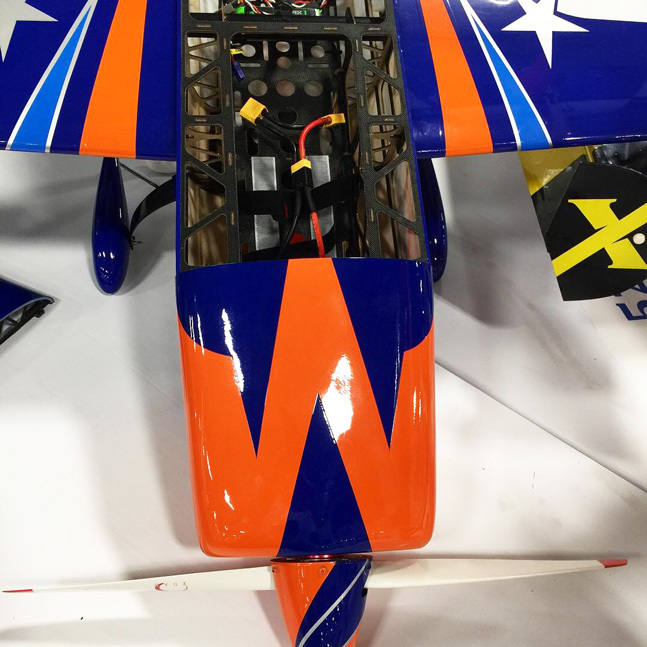 The V3 Extra is available in 2 standard Oracover color schemes (not printed), the Jim Bourke Orange/Blue/White scheme and the Red/Black/White scheme borrowed from our V2 104" Extra. 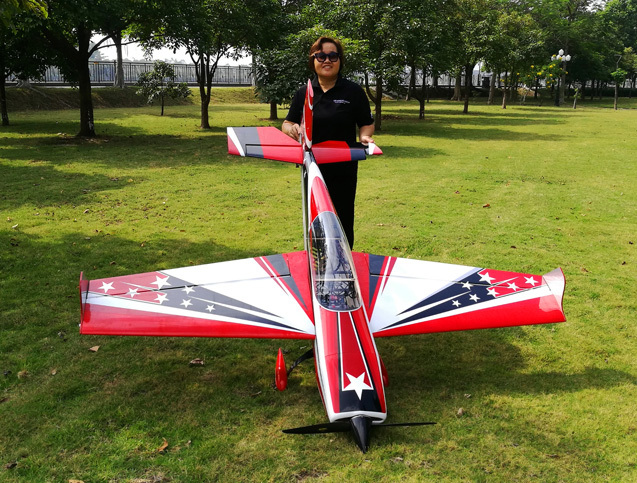 It comes complete with a top quality hardware package and full decal set and now includes a carbon fiber landing gear in place of the original's aluminum gear, a carbon fiber tailwheel assembly, wing and stab tubes. 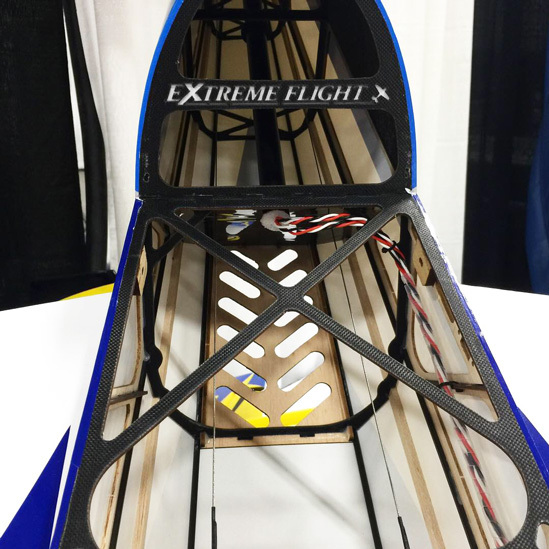 Wing Area: 1225 sq. in. Weight: 11.5 - 13 lbs. Qty. 1 throttle servo, MKS HV-1250 recommended.